At this point in the draft process there are a lot of smokescreens being sent out by teams to try and get other teams to trade up. 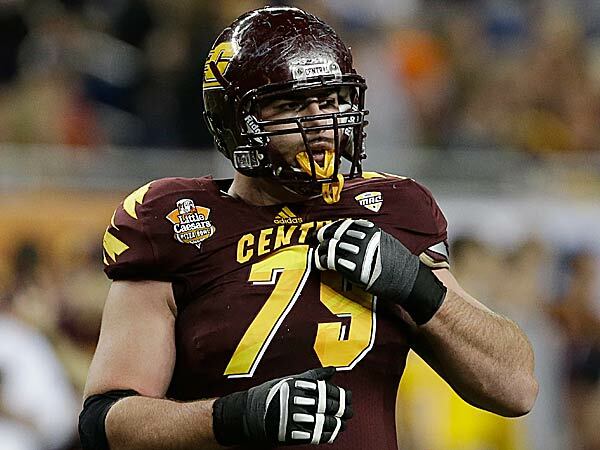 There are rumors that the Jacksonville Jaguars and the Oakland Raiders would like to take left tackles, and so it is a very real possibility that Luke Joeckel (Texas A&M) and Eric Fisher (Central Michigan) are gone by the time the Detroit Lions are picking at #5. If you want to see my 1st round Mock Draft you can see it over at diehardsport.com. Reiff has great versatility and can play any position on the line except center so he is a huge asset. Drafting Fisher would solidify the offensive line and allow them to target a defensive end or a cornerback in the 2nd and 3rd rounds. If Fisher gets taken by Jacksonville or Oakland, the Lions could take Lane Johnson, the left tackle out of Oklahoma. Johnson isn’t as pro ready as Joeckel or Fisher, but he would still be a great draft pick. Johnson has rare athleticism for his size, but needs to develop more. If the Lions can’t get Fisher and choose to pass on Johnson, my guess is they would look at defensive end and hope that Dion Jordan is still there (he won’t be) or Ziggy Ansah. It’s a very real possibility that the Lions could pass on Johnson to draft Ansah, who Schwartz and co. coached at the Senior Bowl. Ansah has a high ceiling, but unfortunately he is a developmental prospect and is basically the definition of a one-year wonder. There are plenty conflicting reports about their interest in Ansah, but coaching him at the Senior Bowl was all they needed to know what they would be getting.
. @AlbertBreer linked #Lions and Ziggy Ansah at 5. I hear they love him. So, how much contact has he had with them? "None," Ziggy said. Oh. Drafting a DE in the 1st round would mean they need to look at guard or cornerback in the 2nd and 3rd round. Passing on Fisher or Johnson if they are there would ultimately guarantee that they are comfortable with Reiff and Hilliard at the tackle positions and they could look at a guy like Larry Warford out of Kentucky in the 2nd round or perhaps Justin Pugh from Syracuse to put at guard. Pugh played left tackle in college, but is better suited for guard. Cornerbacks they could look at in the 2nd round, if they choose to pass on a guard, would be Jonthan Banks out of Mississippi State, Jordan Poyer out of Oregon State, or DJ Hayden out of Houston. Banks saw his draft stock slide after a poor 40 time, but pairing him with Chris Houston would be a great combination of size and speed. Banks is 6’2” and would be perfect to combat the bigger receivers in the league. 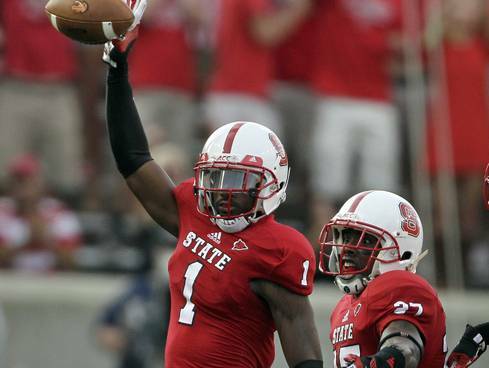 They could also target David Amerson out of NC State in the 3rd round, who saw his stock slide after a poor season this past year. 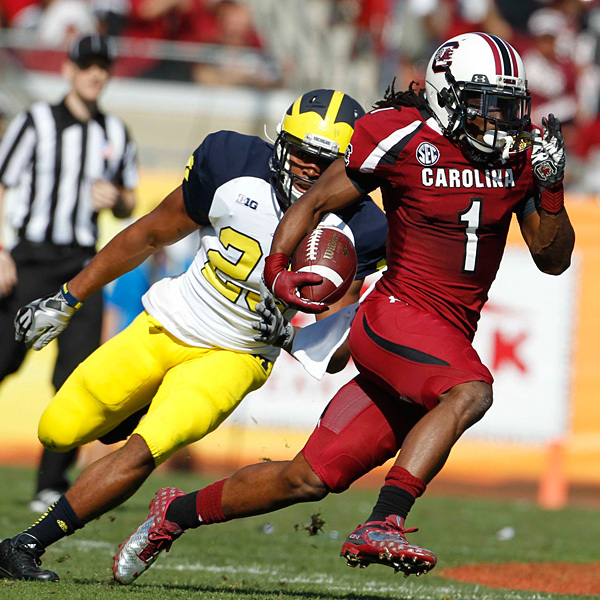 Martin Mayhew has said many times that cornerback isn’t a priority, so should the Lions pass on Milliner then there is a slim chance they would look to draft a cornerback in the 2nd round. Then again this is the NFL Draft, there are smokescreens and lies being spread everywhere and I think that Mayhew is lying about how good he thinks the Lions corners are…at least I hope he is. Obviously there are a multitude of possibilities for the draft but the crucial aspect is that they use their first three picks to fill the holes at defensive end, guard or tackle and cornerback. Wide Receiver is another position of need, but it is a deep draft at receiver. There isn’t a ton of high-end talent and probably a maximum of three receivers will go in the first round, but once you start getting down to the third and fourth round there will be plenty of options. Terrance Williams, Denard Robinson, Da’Rick Rodgers, Kenny Stills and Ace Sanders would all be fantastic options from the 3rd round and on. With Tony Scheffler and Brandon Pettigrew becoming free agents after the 2013-2014 seasons, they will probably look to target a tight end towards the end of the draft, and Levine Toilolo out of Stanford or Phillip Lutzenkirchen out of Auburn would be solid choices. The Lions also have issues at outside linebacker, but they seem to be content letting Ashlee Palmer, Stephen Tulloch and DeAndre Levy be the starters. Michael Mauti out of Penn State will be available later in the draft and he would be a good selection to add depth along with Tahir Whitehead and Travis Lewis, two of their draft picks from last year, though Mauti plays mostly in the middle. Jelani Jenkins, a linebacker out of Florida, would be another great piece to help out the linebackers, but he will likely be gone before the 4th round is over. The retirement of Jason Hanson opens a massive hole at kicker. Hanson has been extremely reliable during his prolific 21-year career when he became the NFL’s 3rd overall leading scorer, among other records. The Lions signed David Akers, but there’s no reason to think that he won’t have any competition in training camp. They could decide to draft a kicker with a late pick and could look at Dustin Hopkins out of Florida State or Caleb Sturgis out of Florida, but I think that the signing of Akers makes this highly unlikely. It’s too bad that Hanson is retiring and it will be strange to see someone else kicking full-time for the Lions now. The Lions picks are a 1st, 2nd, 3rd, compensatory 4th, 5th,6th, 7th, and a compensatory 7th. Eight draft picks for their needs at offensive line (guard or tackle), cornerback, defensive end, wide receiver, outside linebacker, and tight end. I know the Lions don’t draft on need and draft based on best player available, but being able to fill those six needs, along with their free agent signings could be enough to take this team back to the playoffs. It’s obviously impossible to predict the draft, but if I could, I’d want the Lions to go 1st: Eric Fisher, then 2nd round CB/DE, 3rd round CB/DE, 4th round OLB, 5th round WR, 6th round TE and then anyone they want with their two 7th round picks. Obviously with them drafting by best player available, this sequence is highly unlikely, but one can dream can’t they? This draft is huge for Martin Mayhew and Jim Schwartz, another season of missing the playoffs could end both of their tenures in Detroit. This team is far too talented on the offensive side of the ball, especially with the addition of Reggie Bush, to not make the playoffs. This entry was posted in NFL and tagged 7 Round Mock Draft, Ace Sanders, Alabama, Alex Okafor, Ashlee Palmer, Auburn, Baylor, Brandon Pettigrew, BYU, Caleb Sturgis, Central Michigan, Chris Houston, Corey Hilliard, Da'Rick Rodgers, David Akers, David Amerson, DeAndre Levy, Dee Milliner, Denard Robinson, Detroit Lions, Dion Jordan, DJ Hayden, Dominic Raiola, Dustin Hopkins, Eric Fisher, Florida, Florida State, Georgia Tech, Gosder Cherilus, Houston, Jason Hanson, Jelani Jenkins, Jim Schwartz, Johnthan Banks, Jordan Poyer, Justin Pugh, Kenny Stills, Kentucky, Lane Johnson, Larry Warford, Levine Toilolo, Luke Joeckel, Martin Mayhew, Michael Mauti, Michigan, Mississippi State, NC State, Oklahoma, Omoregie Uzzi, Oregon, Oregon State, Penn State, Phillip Lutzenkirchen, Reggie Bush, Riley Reiff, Rob Sims, Senior Bowl, South Carolina, Stanford, Stephen Tulloch, Syracuse, Tahir Whitehead, Tennessee Tech, Terrance Williams, Texas, Texas A&M, Tony Scheffler, Travis Lewis, Ziggy Ansah. Bookmark the permalink.